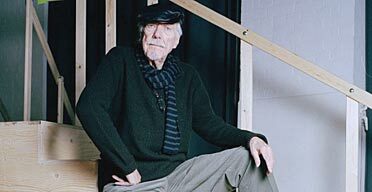 A late bloomer, Altman was a middle-aged TV director when he took over the reins of 1969's Korean war satire MASH, reportedly after 17 other directors had turned it down. The movie tapped into a groundswell of opposition to the war in Vietnam and became a mammoth hit. It also established the director's genius for loose-limbed narratives and multi-tracked sound recording; a kind of controlled chaos that caught the mood of a culture in flux. Altman was born in Kansas City, Missouri, the son of wealthy insurance man/gambler Bernard Clement Altman (who came from an upper-class German-American family) and Helen Mathews, a Mayflower descendant of English and Scottish ancestry. His family was devoutly Catholic. Altman attended Rockhurst High School and Southwest High School in Kansas City, and was then sent to Wentworth Military Academy in nearby Lexington, Missouri, where he attended through junior college. In 1945, at the age of 20, Altman enlisted in the Army Air Forces and flew B-24 bombers during World War II. It had been while training for the Army Air Corps in California that Altman had first seen the bright lights of Hollywood and became enamored of the movieland. Upon his discharge in 1946, Altman began living in Los Angeles and tried out a number of schemes to position his foot firmly in Hollywood's door. Altman tried acting briefly, appearing in a nightclub scene as an extra in the Danny Kaye vehicle The Secret Life of Walter Mitty. He then wrote a vague storyline (uncredited) for the United Artists picture Christmas Eve, and sold to RKO the script for the 1948 motion picture Bodyguard, which he co-wrote with Richard Fleischer. This sudden success encouraged Altman to move to the New York area and forge a career as a writer. There, Altman found a collaborator in George W. George, with whom he wrote numerous published and unpublished screenplays, musicals, novels, and magazine articles. Altman was not as successful this trip, but back in Hollywood, he tried out one more big money-making scheme. His pet care company soon went bankrupt, and in 1950 Altman returned to his friends and family in Kansas City, Missouri, broke and hungry for action, and itching for a second chance to get into movies. Since there were no film schools, Altman joined the Calvin Company, the world's largest industrial film production company and 16mm film laboratory, headquartered in Kansas City. Altman, fascinated by the company and their equipment, started as a film writer, and within a few months began to direct films. This led to his employment at the Calvin Company as a film director for almost six years. Until 1955, Altman directed 60 to 65 industrial short films, earning $250 a week while simultaneously getting the necessary training and experience that he would need for a successful career in filmmaking. The ability to shoot rapidly on schedule and to work within the confines of both big and low budgets would serve him well later in his career. On the technical side, he learned all about "the tools of filmmaking": the camera, the boom mike, the lights, etc. In 1955, Altman left the Calvin Company, not ever intending to return. He was soon hired by Elmer Rhoden Jr., a local Kansas City movie theater exhibitor, to write and direct a low-budget exploitation film on juvenile crime, titled The Delinquents, which would become his first feature film. Altman wrote the script in one week and filmed it with a budget of $63,000 on location in Kansas City in two weeks. Rhoden Jr. wanted the film to kick-start his career as a film producer. Altman wanted the film to be his ticket into the elusive Hollywood circles. The cast was made up of the local actors and actresses from community theater who also appeared in Calvin Company films, Altman family members, and three imported actors from Hollywood, including the future Billy Jack, Tom Laughlin. The crew was made up of Altman's former Calvin colleagues and friends with whom Altman planned to make his grand "Kansas City escape." In 1956, Altman and his assistant director Reza Badiyi left Kansas City for good to edit The Delinquents in Hollywood. The film was picked up for distribution for $150,000 by United Artists and released in 1957, grossing nearly $1,000,000. The Delinquents was no runaway success, but it did catch the eye of Alfred Hitchcock, who was impressed and asked Altman to direct a few episodes of his Alfred Hitchcock Presents television series. From 1958 to 1964, Altman directed numerous episodes of television series, including Combat!, Bonanza, Whirlybirds and Route 66. One episode of Bus Stop which he directed was so controversial, due to an ending in which a killer is not apprehended or punished for his crime, that Congressional hearings were held, and the show was cancelled at the end of the season. Altman then struggled for several years after quarreling with Jack Warner, and it was during this time that he first formed his "anti-Hollywood" opinions and entered a new stage of filmmaking. He did a few more feature films without any success, until 1969 when he was offered the script for MASH, which had previously been rejected by dozens of other directors. Altman directed the film, and it was a huge success, both with critics and at the box office. It was Altman's highest grossing film. Altman's career took firm hold with the success of MASH, and he followed it with many other similar experimental films, which made the distinctive "Altman style" well known. As a director, Altman favors stories showing the interrelationships between several characters; he states that he is more interested in character motivation than in intricate plots. As such, he tends to sketch out only a basic plot for the film, referring to the screenplay as a "blueprint" for action, and allows his actors to improvise dialogue. This is one of the reasons Altman is known as an "actor's director," a reputation that helps him work with large casts of well-known actors. He frequently allows the characters to talk over each other in such a way that it's impossible to make out what each of them are saying. He notes on the DVD commentary of McCabe & Mrs. Miller that he lets the dialogue overlap, as well as leaving some things in the plot for the audience to infer, because he wants the audience to pay attention. He uses a headset to make sure everything pertinent comes through without attention being drawn to it. Similarly, he tries to have his films rated R (by the MPAA rating system) so as to keep children out of his audience–he does not believe children have the patience his films require. This sometimes spawns conflict with movie studios, who do want children in the audience for increased revenues. Altman made films when no other filmmaker and/or studio would. He was reluctant to make the original 1970 Korean War comedy MASH because of the pressures involved in filming it, but it still became a critical success. It would later inspire the long-running TV series of the same name. In 1975, Altman made Paramount's Nashville, a semi-musical with a political theme set against the world of country music. The stars of the film wrote their own songs; Keith Carradine won an Academy Award for the song "I'm Easy". In 1980, he attempted a movie musical for Disney and Paramount, a live-action version of the comic strip/cartoon Popeye (which starred Robin Williams in his big-screen debut). The film was seen as a failure by some critics, but it should be noted that it did make money, and was in fact the second highest grossing film Altman directed to that point (Gosford Park is now the second highest). During the 1980's, Altman did a series of films, some well-received (the Richard Nixon drama Secret Honor) and some critically panned (O.C. & Stiggs). He also garnered a good deal of acclaim for his presidential campaign "mockumentary" Tanner '88, for which he earned an Emmy Award. Still, popularity with audiences continued to elude him. Altman's career was suddenly revitalized when he directed 1992's The Player for New Line subsidiary Fine Line Features. A satire on Hollywood and its troubles, it was nominated for three Academy Awards, including one for Best Director. Although it did not win any awards, the film reminded Hollywood (which had shunned him for a decade) that Altman was as creative as ever. After the success of The Player, Altman directed 1993's Short Cuts, an ambitious adaptation of several short stories by Raymond Carver, which portrayed the lives of various citizens of the city of Los Angeles over the course of several days. The film's large cast and intertwining of many different storylines harkened back to his 1970s heyday and earned Altman another Oscar nomination for best director. It was acclaimed as Altman's best film in decades, and Altman himself considers this, along with Tanner '88, his most creative work. 1998 brought The Gingerbread Man, critically praised although a commercial failure, and 1999 brought Cookie's Fortune, a critical success. In 2001, Altman's film Gosford Park gained a spot on many critics' lists of the ten best films of that year. Working with independent studios such as Fine Line, Artisan (now Lions Gate, ironically the studio Altman helped to found), and USA Films (now Focus Features), gave Altman the edge in making the kinds of films he has always wanted to make without outside studio interference. Altman was still developing new projects up until his death, directing a movie version of Garrison Keillor's public radio series A Prairie Home Companion released in June 2006. After five nominations for best director and no wins, the Academy of Motion Picture Arts and Sciences awarded Altman an Academy Honorary Award for lifetime achievement in 2006. During his acceptance speech for this award, Altman revealed that he had received a heart transplant approximately ten or eleven years earlier. The director then quipped that perhaps the Academy had acted prematurely in recognizing the body of his work, as he felt like he might have four more decades of life ahead of him. He frequently singled out "Brewster McCloud" and "Tanner '88" as being his greatest works. In the 1960s, Altman lived for nine years with his second wife in Mandeville Canyon in Brentwood, California, according to author Peter Biskind in Easy Riders, Raging Bulls (Touchstone Books, Simon and Schuster, New York, 1998). He was a member of the NORML advisory board. "To Play it Safe is Not To Play"